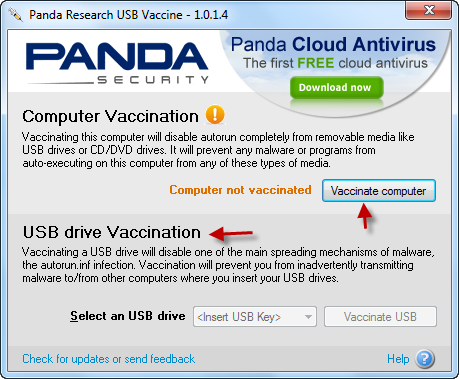 Protect your computer and usb flash drive against virus .Panda vaccine software provide full protection against virus and malware .Try it now it's free. Panda USB Vaccine allows to you to protect your usb flash drive against virus and malware such as conficker worm ,Trojans and more virus .Panda USB Vaccine support protection for removable devices such as usb flash drive ,mp3 player,cameras,SD memory card and more types.Panda USB Vaccine prevent malicious codes from modifying the autorun file on usb flash drive .Try using Panda USB Vaccine to protect your usb flash drive against threats . 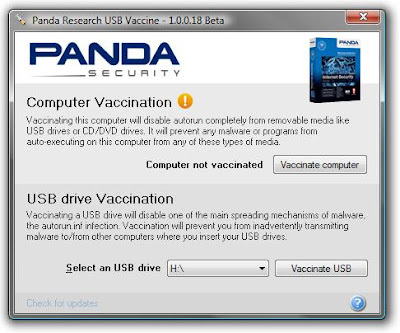 Now click on vaccinate computer to protect your computer .Insert your usb flash drive to begin protect it by panda . 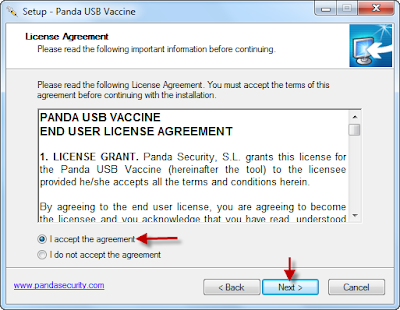 Now panda vaccinate your usb flash drive , Don't remove your usb flash drive until the vaccination process is finished . 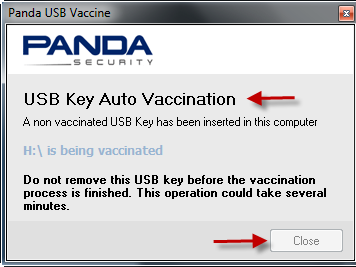 Now your computer and usb flash drive protected against virus .